Continuing its growth trend, TurningPoint enhances its team, adding Client Relations Manager. TurningPoint Executive Search recently announced the addition of Casey Long to their team. “We are so excited to be adding Casey to our team. He is a fantastic addition to the TurningPoint family of employees and clients,” said Ken Schmitt, President & Founder of TurningPoint Executive Search. “I am especially pleased to offer an opportunity for a transitioning military veteran, to enter the corporate workforce.” Schmitt went on to describe how the continued growth of the firm over the last 7 years has created an environment that is ripe for a dedicated business development professional. Casey’s highly inquisitive nature, keen listening skills and ability to build and maintain long term relationships, will serve as a strong backdrop to the firm’s expanded business development initiatives. 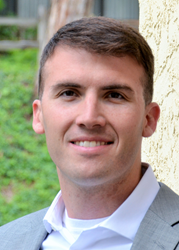 Prior to joining TurningPoint, Casey Long spent 6 years within the Marine Corps as an Officer, leading IT departments in the delivery of service for various types of organizations. As someone charged with continuously communicating the business value of IT to senior military leaders, he has developed a keen sense of strategic-level thinking and a discerning eye for talent. Casey earned a Bachelor of Science in Business Administration from the University of South Carolina, Moore School of Business and has lived in San Diego since 2011. Launched over 7 years ago, TurningPoint recently completed another record year in both revenue and placements. “Our shift in 2011 to marketing and sales recruiting, has served our clients well. We grew by 40% in 2013 and are on pace to expand by another 30% in 2014. Casey’s expertise and business acumen will complement our existing team, allowing us to partner with more businesses, capturing the attention of sales and marketing leaders throughout the Southern California region.” With a combined 60 years of experience among the current staff, TurningPoint is well positioned to continue placing sales, marketing, operations and supply chain professionals, across a variety of industries, from start-up to Fortune 500.